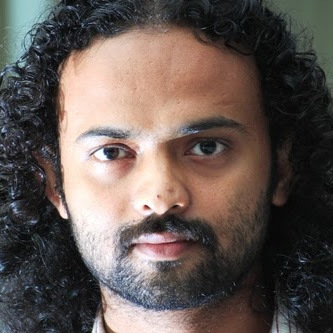 Abhideep currently is associated with Mindtree and is based out of Bangalore. He has 8+ years of experience in large scale enterprise application development, module design, design patterns and he is growing his skills in application architecture. He has owned, architected, designed and delivered applications within the organization. Currently, he is leading the DevOps CoE in his organization. Other than application development, his knowledge goes in application infrastructure, network design, cloud (Azure and AWS), high availability and scalability. He is well known speaker in his organizations and have also delivered talks in national level webinar and tech summit. He is also certified SAFe (Scaled Agile Framework) Agilist. Every company has multiple Center Of Excellence for various practices but the good work they do is mostly unknown to the rest of developer community of the company. Similar is the story in our company, Mindtree. Being part of the CoE, we were worried about how to share the work we are doing with rest of the company's developer community. Ideal expectation was that developer community should be able to see the work done by CoE and utilize the knowledge. One other thing we wanted that for this purpose developer don't need to go out of the IDE they are using. At any given day, Eclipse is the most used IDE for Java developers and hence it was very clear that we need to come up with some plugin for Eclipse which helps in sharing the knowledge gained by the CoE to its developer community. We did the ideation on how a developer should be able to achieve such feature within their IDE and implemented the same. Now not only the enthusiastic developers for learning cutting edge tech implementation, but also the new joinees use this plugin to learn from various best practices and reference implementations available on this platform, which we call as Mrald. Not only CoE, but also developer community can also contribute to Mrald knowledge base. Using the Eclipse plugin framework, we created the bridge between developers and CoEs to mutually share their knowledge and work. Power of Eclipse RCP is being used to spread the knowledge across the company and that's an idea worth spreading over.